The wait is over for GiN fans in Ireland! 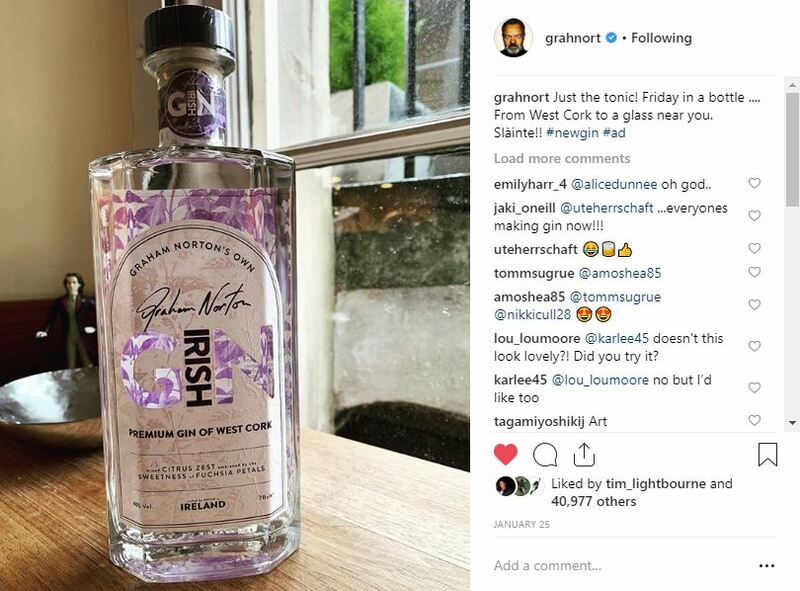 Graham Norton posted this pic of the bottle on Instagram late last month – attracting nearly 41,000 likes! 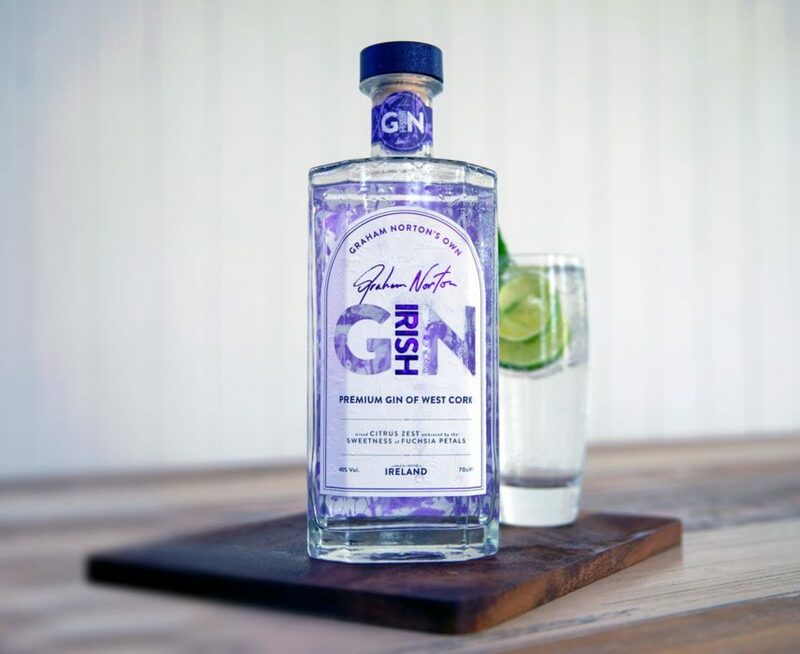 Graham Norton’s Own Irish GiN is now available at SuperValu in Ireland in the London Dry style and is coming soon to the rest of the world – watch this space. Following on from the success of the award-winning GN Wine range – which includes Sauvignon Blanc, Shiraz, Rosé and Prosecco – Graham Norton has launched his own Irish gin in collaboration with Invivo & Co, which celebrates his West Cork Heritage, the beauty and flavours of his idyllic native county and his award-winning flair for blending perfection. Partnering with an Irish distillery was very important to Graham and an extensive search led to a distillery near Graham’s West Cork home. West Cork Distillers, Invivo & Co and Graham Norton have worked together to create two small-batch premium gins. Graham Norton’s Own Irish Gin is a premium London Dry style, as distinctive as the man himself. Both gins utilise locally foraged botanicals as part of their unique blends. Graham Norton’s Own Irish Pink Gin (coming soon) is made with Irish grain and draws its flavour from a combination of 12 botanicals including lemon peel, orange peel, elderflower, rose hip, and fuchsia flowers. TASTING NOTE: A heady combination of kaffir lime and juniper leap from the glass. With a lemon twist and tonic, the citrus notes are amplified to achieve the perfect G&T balance with a beautifully crisp finish. SERVING SUGGESTION: Pour with a premium tonic, a twist of lemon or lime or ask your mixologist to surprise you! Look what people are already saying about the GiN!